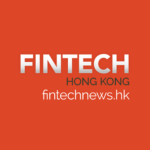 Hong Kong, a global financial hub, has seen strong growth of its fintech industry. The city now hosts 48 of the top-100 fintech companies in the world, according to IDC Financial Insight 2015. Fintech Innovation Lab Asia-Pacific is a 12-week mentoring accelerator and incubator program sponsored and managed by Accenture. The program brings together leading financial services institutions, angel investors and venture capital firms across Asia to provide startups with the opportunity to work with future customers, perfect propositions, gain insights to the banking industry and build strong relationships. 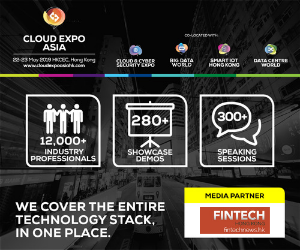 Fintech Innovation Lab Asia-Pacific aims to nurture early-stage companies from around the world that are developing new technologies for the financial services sector with a particular focus on the region. The Hong Kong program is supported by Cyberport, which provides workspace for the selected teams and entrepreneurs. DBS Accelerator is an startup acceleration program provided in partnership with Hong Kong VC firm Nest. The program is targeted at fintech-focused startups at seed through Series B stages that address one of the following areas of focus: digital channel experience, compliance monitoring, credit digitalization, customer engagement and cybersecurity. Startups receive mentorship from carefully selected business leaders working in various business units to help them develop their solution and guide them towards a potential pilot. They also get to be introduced to quality global investors with proven track records and a chance to pitch at Demo Day. SuperCharger is 12-week fintech acceleration program designed for early-stage startups and established scale-up companies. SuperCharger does not take any equity and gives selected startups access to go-to-market resources, mentorship, as well as technology and expert advice in areas such as market entry, regulatory obligations, and joint-venture opportunities. SuperCharger started in Hong Kong where it sought to leverage on Hong Kong’s traditional strength as Asia’s finance and technology gateway. It began its expansion into ASEAN in late-2017, with Malaysia as the first country of entry. Moment Accelerator claims to be Asia’s first regtech-focused accelerator, enabling startups and financial institutions to come together with the goal of accelerating industry transformation within the regtech and fintech space. Moment Accelerator focuses on growth-stage companies that are looking to validate, grow and scale their businesses in Asia. The program does not take any equity and provides brand and product exposure. Selected startups get to connect with leading financial institutions and have their products and services validated through proofs-of-concept with financial partners. The Cyberport Incubation Programme is targeted at companies in the areas of fintech, AI/big data, e-commerce, edtech, IoT and wearables, e-sport, and ICT-related segments. The program aims to support the development of the Hong Kong ICT industry by providing incubated companies with access to advanced facilities and resources, support in business development, financing and hiring of graduate interns, as well as entrepreneurship and technology training. Eligible companies must be registered in Hong Kong or plan on forming one soon, have sufficient funds, or have plans or potential to raise sufficient funds to operate for at least one year, and have developed a new project/product in ICT sectors. Selected companies receive a maximum grant of HK$330,000, and Hong Kong registered startups with office at Cyberport get a 24-month rent free office space at hub. The Incu-App Programme, by the Hong Kong Science and Technology Parks Corporation (HKSTP), is targeted at tech startups developing web based applications, smartphone based apps, PC or Internet or smartphone console games, and related products. The program aims to provide support to companies working on web technologies during their inception stages. Eligible companies must be Hong Kong registered technology startup companies established for no more than two years before the date of application. Founding team members must hold more than 50% of the company at the time of application submission. Selected startups receive technical and management assistance, office space and facilities, promotion and development assistance, business support and financial aid package. 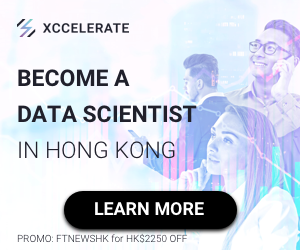 Jointly launched by the HKSTP, HSBC, and the Hong Kong Business Angel Network (HKBAN), Sprinter is a two-year program aiming to energize the Hong Kong innovation and technology ecosystem. Entrepreneur Track: A track with two cohorts that will equip at least 120 technology companies with the knowhow through a series of structured training provided by professionals including academia, bankers, VCs, accountants and lawyers from Hong Kong and overseas. Ten selected companies from each cohort will enter the second stage, which focuses on supporting companies for business expansion and fundraising over a seven-month period. 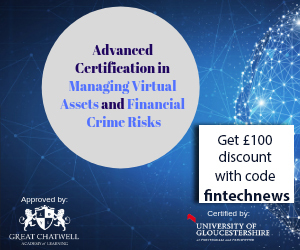 Business Angel Track: A track that aims to enhance the capabilities and practical knowledge of angel investors and individuals who aspire to become angel investors through knowledge exchange activities including seminars and meetings. 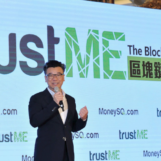 After completion of this track, participants will become more familiar with the venture investment in Hong Kong so as to energize the business angel ecosystem. The Founder Institute is a startup pre-seed accelerator program for tech-enabled businesses. It is based in Silicon Valley with chapters across 60 countries and locations including Hong Kong. The Founder Institute’s mission is to “globalize Silicon Valley” and build sustainable startup ecosystems worldwide. The program provides early-stage and aspiring entrepreneurs with the structure, training, mentor support, and global network needed to start an enduring company. So far, the Founder Institute has helped over 3,300 companies raise more than US$700 million and build some of the world’s fastest growing companies. Alumni of the program include French cryptocurrency exchange platform Paymium and Filipino online platform for receivables discounting Acudeen. 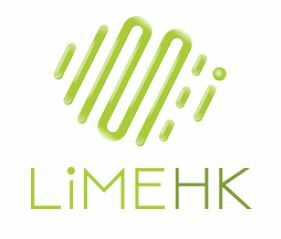 LimeHK offers tailored incubation and acceleration programs for early to middle stage startups. It provides in-depth mentorship, business shaping, growth hacking and investment engineered for local startups. LimeHK strives to help its startups become self sustaining, scale-up and get early investments. The personalized program accelerates startups within 3 to 6 months. To early stage startups, LimeHK provides services valued over US$100,000 and tailor-made mentorship to put them onto the right track. To mature startups, it offers funding up to US$130,000 and lines up partnership to help them scale up globally. Originally from Buenos Aires, Argentina, Scalabl is a global startup ecosystem with a presence in Latin America, Europe, the Middle East and Asia. Scalabl works with top-notch professionals, prospective entrepreneurs or experienced ones to build great companies by creating scalable, repeatable, profitable and sustainable business models. It also works with corporations on intrapreneurship and governments around the world on innovation and entrepreneurship policy advising. Scalabl operates the so-called Scalabl Academy, which allows prospective or high potential entrepreneurs to turn an idea into a company, or an existing venture into a scalable one in a one-month program with a very hands-on and practical approach. The program has over 350 graduates and has helped create or scale more than 100 companies in this program since September 2016. Betatron is vertical and industry agnostic. The objectives are to optimize startups’ business model, position them to scale, and then help them raise their first institutional investment round. Each startup is assigned a lead mentor from one of Betatron’s partners. Based on the needs of each startup, mentors from different industry segments and specialties are plugged into each startup to help optimize the business. Each startup receives US$30,000 funding via a Simple Agreement for Future Equity (SAFE) note. Selected startups also get free co-working space at the Betatron Lab.